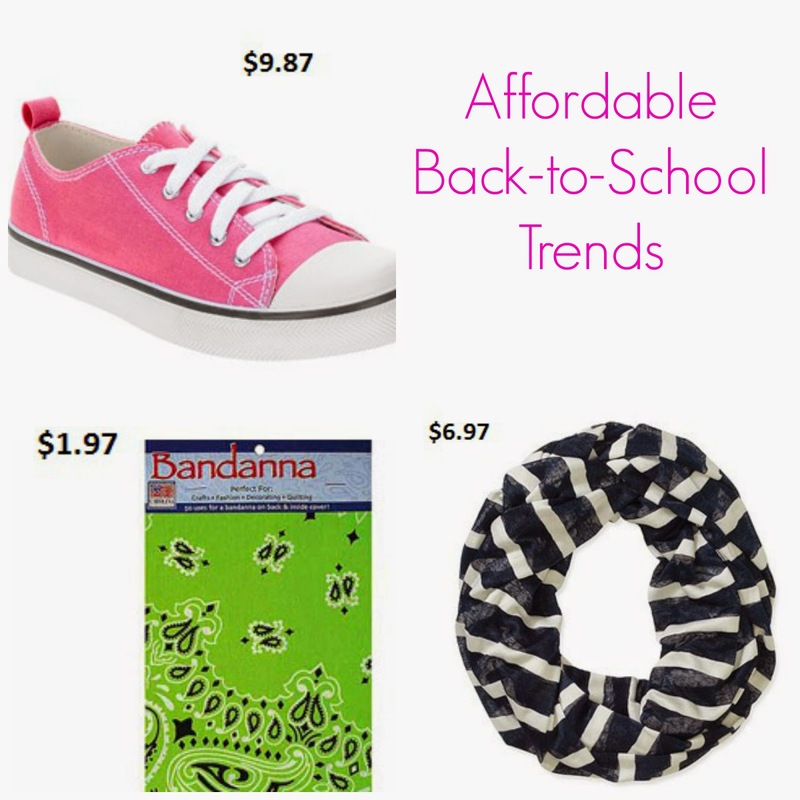 I cannot get over how cute everything is this year for back-to-school trends for the kids. While last year was full of mustaches and duck hunters, this year is full of classic looks and affordable pricing. I took my oldest and my toddler out for a day of checking out the deals at our local Walmart. See what we found! 1. Chevron and stripes. Yes! This very classy look is in many colors. I especially like it in the infinity scarf! 3. Bandannas. The kids really like wearing these. Walmart has a selection that can be worn on the wrist, in the hair, or around the neck. These really take me back. 4. Flannel. It's here to stay this season. The ladies' flannel is very slimming, too! Most of these looks are found in-store for the best selection. Be sure to check out all the deals in ladies, mens, kids, and babies, too!